Madame Geneva is our home at sea. She is a lovely girl. Seakindly, quick and very accommodating. 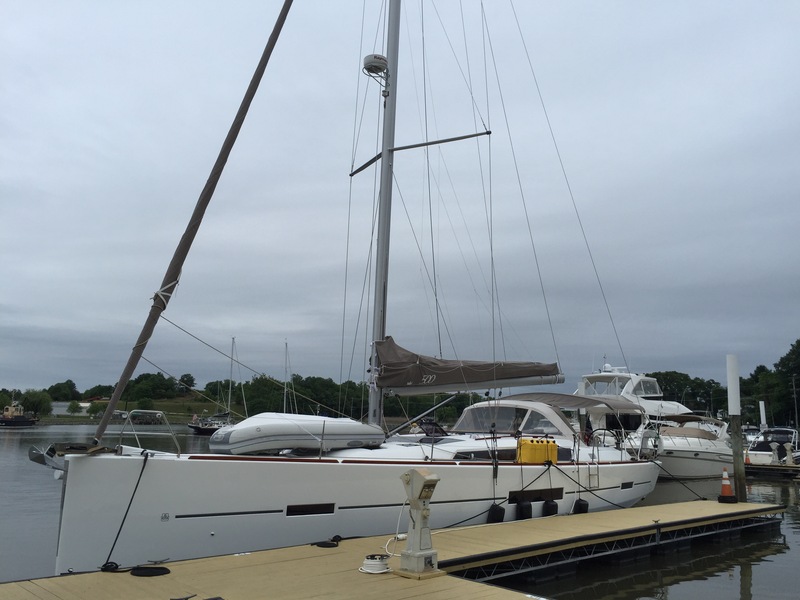 50 feet long with a very generous 16’6″ beam she suits our family of 5 quite nicely. MG is my 4th keelboat. 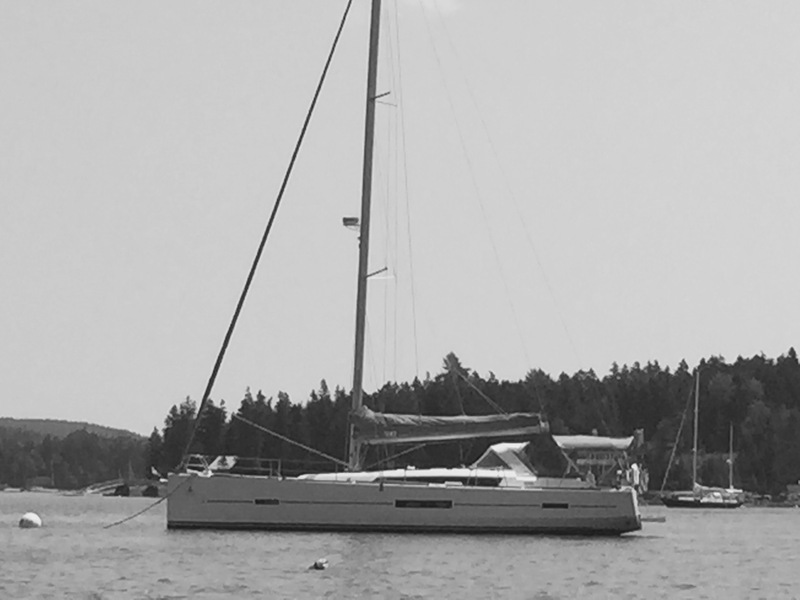 Since my late 20’s, when I could purchase but long before I could afford it, I have had a sailboat. It really never has been a choice I could make. More like a necessity. A freedom I need to keep the demons at bay or perhaps the noise of this life at an arm’s length. 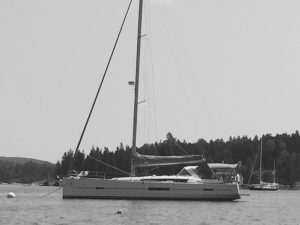 My friend Paul and I drove from Charleston to Aspen, Colorado to pick up the 25′ First Star, followed a few years later by Pagan from Mystic, Connecticut, Madame George from Rochester, New York and now Madame Geneva, newly built in France, the grand damme of then all. Kelly fell for a basically homeless artist with a racing sailboat. Che arrived from Guatemala and found himself rolling to the low side of a crib wedged between settees below decks of a J35 called Pagan. Gherty and Quinn joined Kelly and Che at regattas in a tent playing at backwoods lakes while daddy raced scows all day. 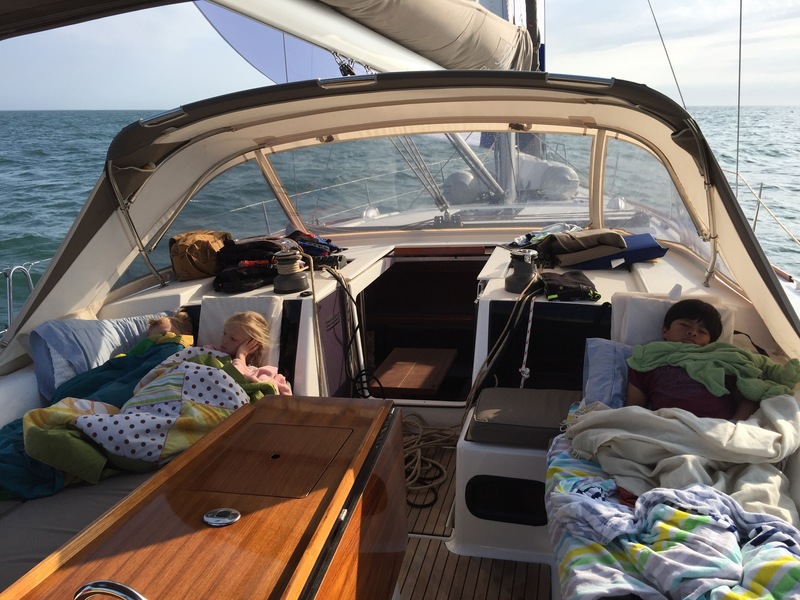 Madame George introduced the whole family to overnights at anchor and coastal hops never thinking the dead of winter was a time best left to other pursuits. Swimming from the transom in roiling currents and dark water with life jackets on and a fender strung down current on a polypropylene line was how swimming was done. 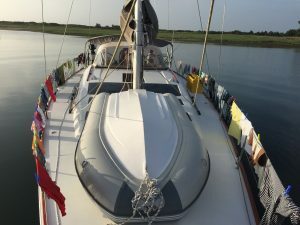 Racing Madame George with my best friends soon gave way to cruising with the family as our experience grew and stripping and rerigging cruising and racing gear for beer can races and family weekends got old quickly. Short, then long weekend trips as a family spawned dreams then plans to make this less a diversion and more, eventually much more, than a lifestyle. 2015 found a new opportunity to adopt Madame Geneva and get serious about our chances with a serious cruising platform. 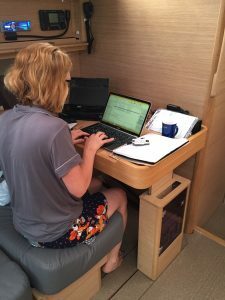 We left Charleston in May headed to Annapolis with a U-haul trailer full of what we thought and hoped we would need and want and set sail to Maine. 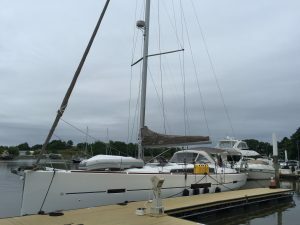 A 2,000 mile shakedown sail seemed reasonable. Let’s just hope we don’t see any rough weather, hit a whale or lose our prop! “Summer at Sea 2015” starts there. The rest is detailed following. This is our ever evolving story. I cannot and would not dare foreshadow or forecast what will happen next. We’ve learned by now that we just can’t say. One thing is for sure though. We’re doing it together- “God willin’ and the creek don’t rise”. We are so pleased and humbled to have you join us.